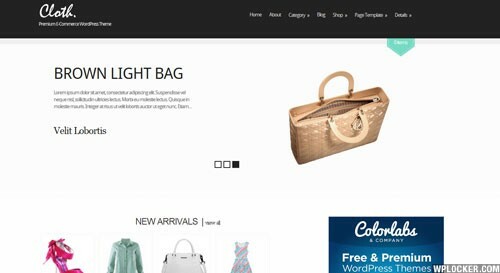 An e-commerce child theme for the Backbone Theme Framework. Dedicated to boutiques, indie retailers and fashion entrepreneurs. The Cloth WordPress theme offers boutiques, retailers and indie labels and e-commerce solution to sell through their website. Cloth will give the customers a smooth, attractive, easy, fun shopping experience and they are more likely to complete the purchase and they are more likely to come back again later.